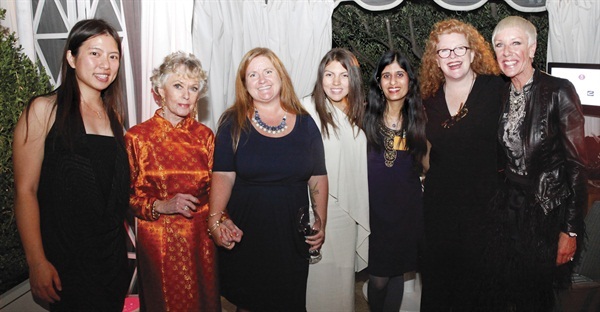 NAILS and sister publication VietSALON Magazine joined CND and Beauty Changes Lives (BCL) in honoring actress and philanthropist Tippi Hedren with the BCL Legacy of Style Award. 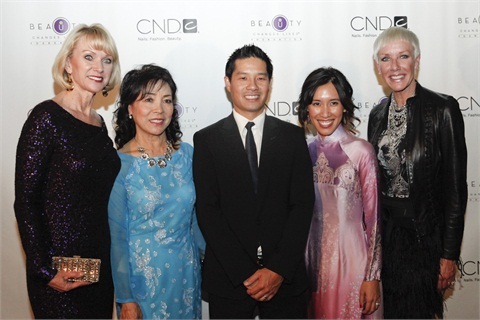 On Monday, September 25, NAILS Magazine and our sister publication VietSALON joined CND and Beauty Changes Lives (BCL) in honoring actress and philanthropist Tippi Hedren with the 2nd annual BCL Legacy of Style Award at the Peninsula Hotel in Beverly Hills, Calif. The Legacy of Style Award is presented to industry leaders, whose vision and commitment elevate the beauty and wellness industry. The first inaugural award was presented to Vidal Sassoon, post-mortem in 2012. Ms. Hedren (best known as the star of Alfred Hitchcock’s “The Birds”) was selected as the recipient of this prestigious award for her commitment and numerous contributions to the professional nail industry. She is credited with sparking a movement that would forever change the face of the nail industry. In the 1960s, Hedren was active in humanitarian missions in Vietnam with the organization Food for the Hungry. After the fall of Saigon, she got involved in Hope Village, a refugee camp near Sacramento, Calif., where her long, polished nails were admired by the women at the camp. That gave her an idea — this might be just the thing to get her new Vietnamese friends working toward their own American dream. So Hedren started bringing her own manicurist up to the camp to meet with the women. And over the course of several months, 20 or so of these Vietnamese refugees learned how to do nails. Hedren’s dedication to seeing the women get their licenses and become employable didn’t stop in the ’70s. She remained committed to the education and empowerment of Vietnamese-American women by helping them find work in the professional nail industry. Today, Vietnamese-Americans make up half the population of nail technicians in America. And this group can be credited with the intense growth of the nail industry over the last several decades. 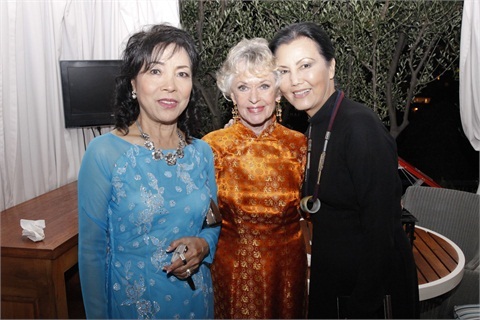 At the gala on Monday, Vietnamese actress Kieu Chinh spoke of how Hedren sponsored her to come to the U.S., allowing her to flee the war-torn country she loved. Thuan Le, one of the original 20 women who became a licensed manicurist under Hedren’s urging, was also on hand to honor her friend. They spoke of the ordeals that the Vietnamese people had to endure once they left their country behind. And they spoke of the kindness and generosity of one woman who became the “mother” of the Vietnamese-American nail industry. In addition to honoring Ms. Hedren, CND’s Jan Arnold and BCL’s Lynelle Lynch also announced the Beauty Changes Lives CND Tippi Hedren Nail Scholarship Fund. Created to elevate, educate, and expose the nail profession as a rich and rewarding career, the scholarships will be available for any students enrolling in a nail program at any AACS-accredited school. BCL will be accepting applications beginning early next year. CND, on behalf of the company and its Vietnamese partner distributors, presented a donation of $184,000 to Beauty Changes Lives. “It is such a delight to honor Tippi Hedren’s life-long commitment to the education and empowerment of women in the nail community,” said Jan Arnold, co-founder of CND. “Tippi has been, and continues to be, an inspiration to women around the world; her contributions to the nail profession will live long thanks to her namesake scholarship,” added Arnold. 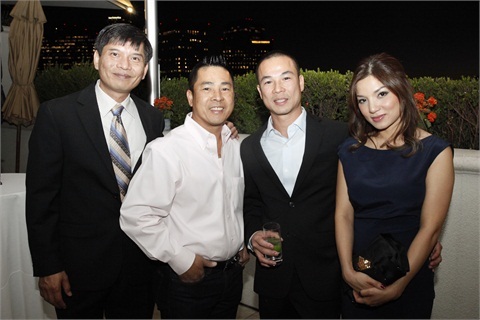 Guests included actresses Kieu Chinh and Rena Sofer, as well as various tastemakers/beauty industry influencers. Many of the Vietnamese donors that contributed to the BCL CND Tippi Hedren Nail Scholarship Fund also attended the event, including Sunny Beauty Supply, Lee Nail Supply, Nationwide Nails and Beauty Supply, Pro Nail Supply, and Central Nail Supply, among others. Tippi Hedren, Kieu Chinh, Thuan Le, and Advance Beauty College's Linh Nguyen donned authentic Vietnamese gowns in show of respect for the Vietnamese community.